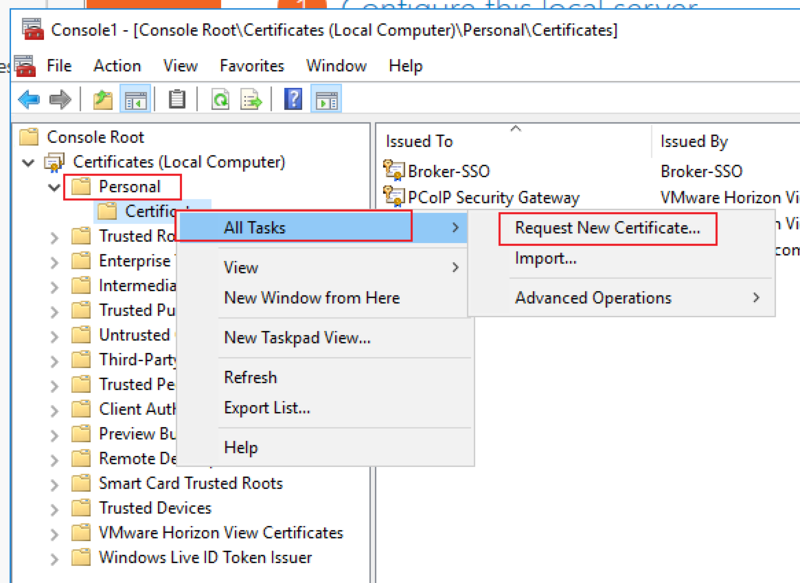 Preparing for Horizon View – Connection Server Certificate. 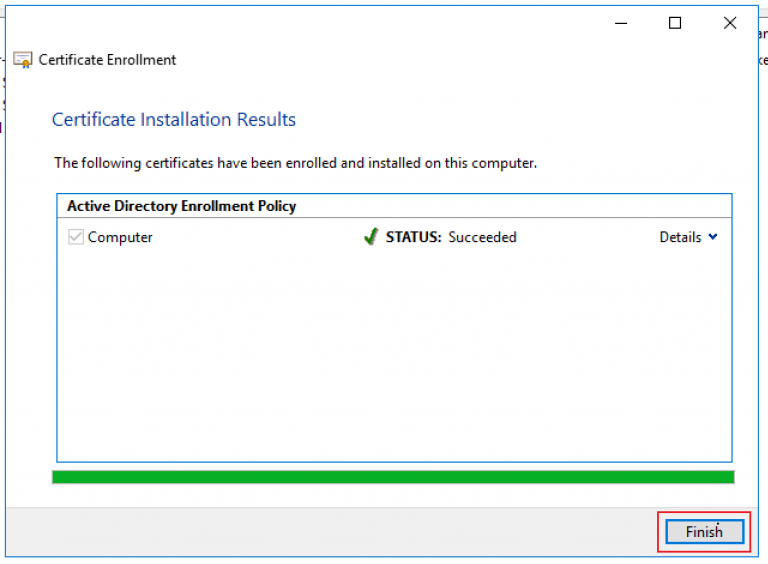 Doing a straight forward install of the connection server is fairly easy. 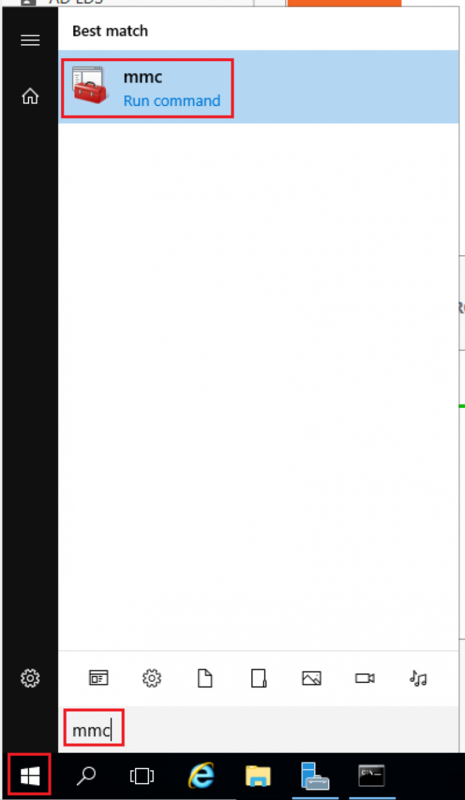 its mostly next-next-next. However since we are trying to do this deployment as close to prod as possible we want to get a certificate installed from the root CA we setup in an earlier post. Post deployment task- Certificate install. The instructions below are to be run on server you’re intending to install the Horizon view connection server on. 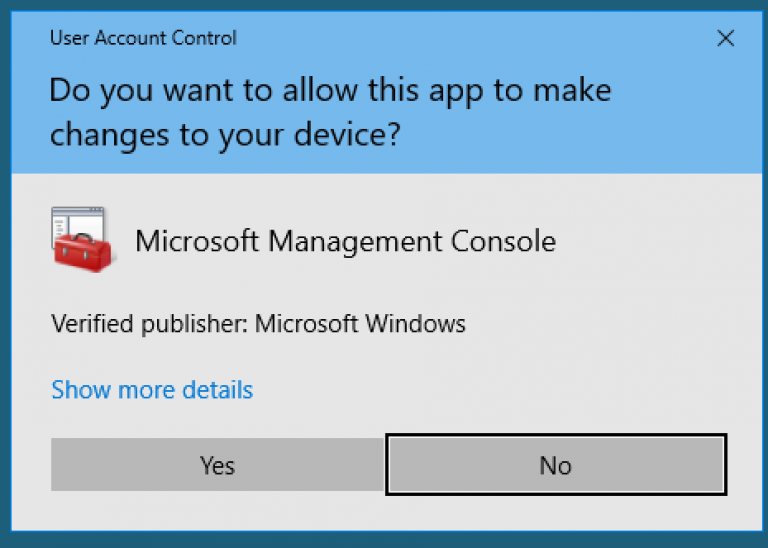 Click on the windows icon, type mmc and select it to start the mmc. 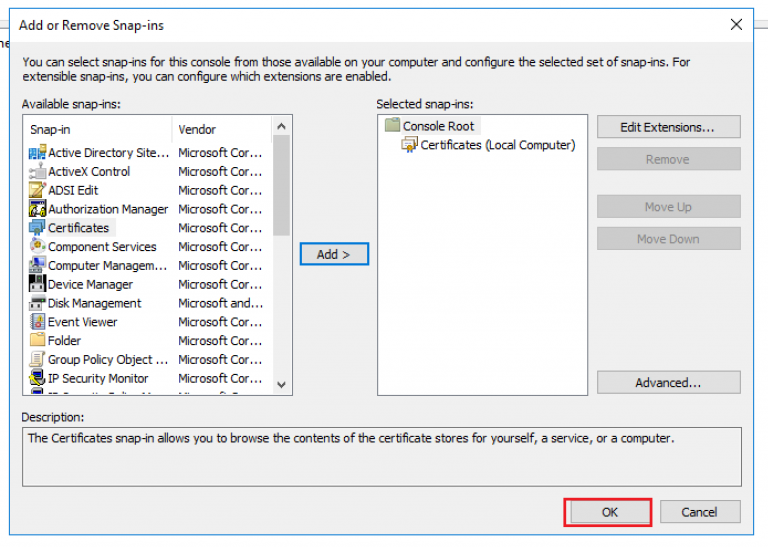 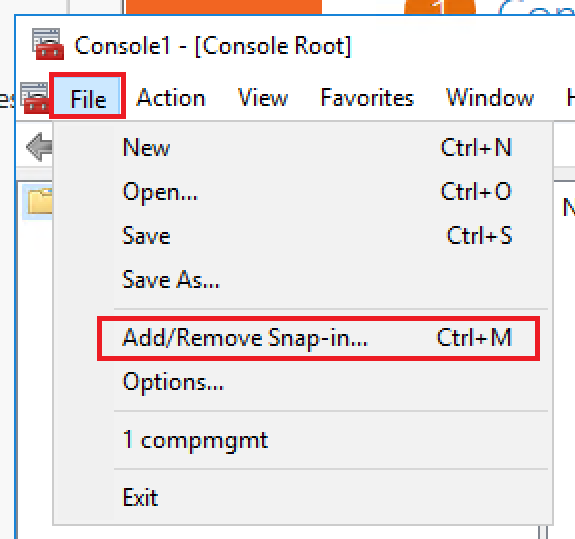 Click file then Add/Remove Snap-in. Select Certificates -> Add -> OK. 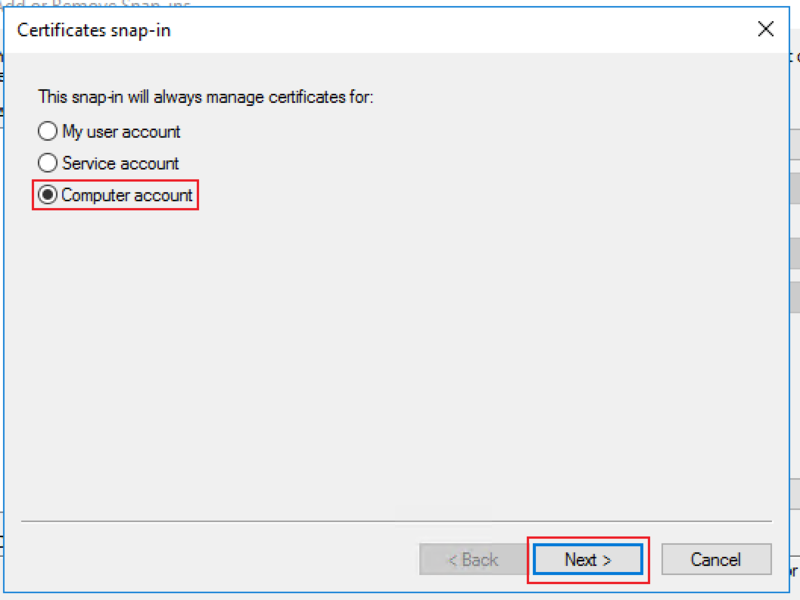 Select Computer Account -> Next. 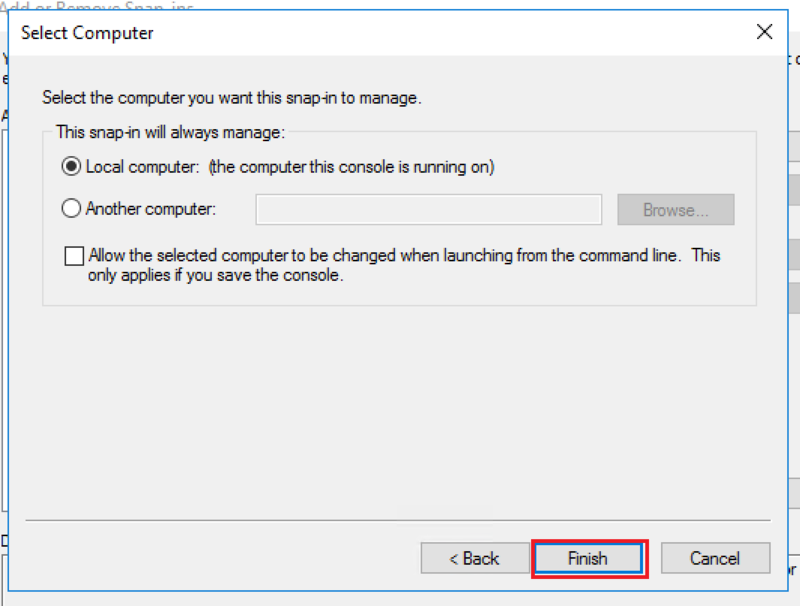 Select Local Computer -> Finish. 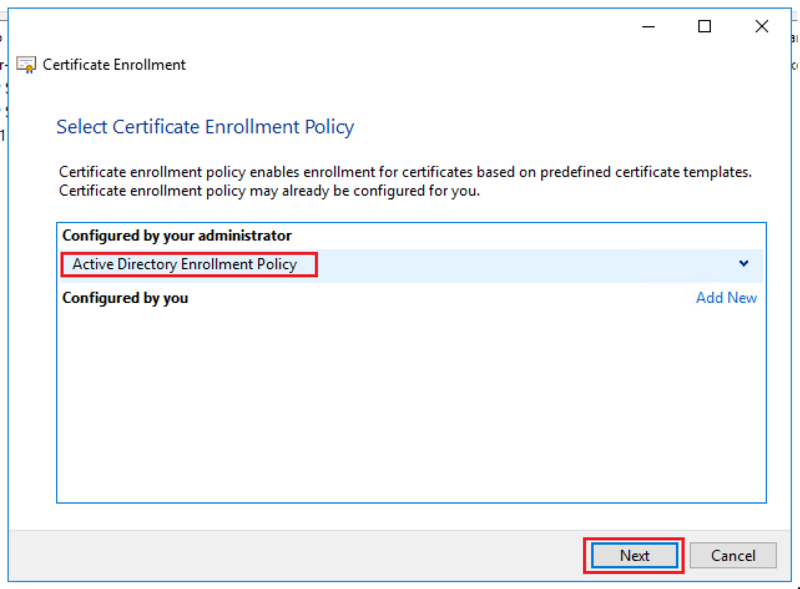 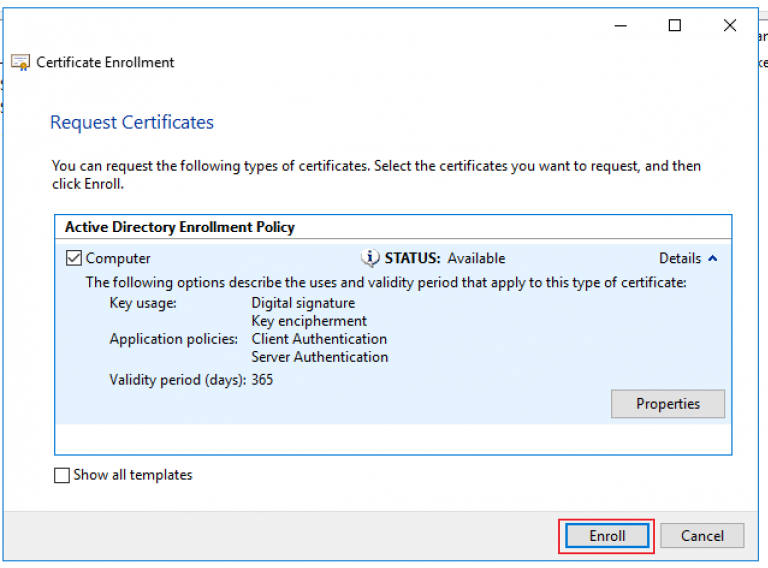 Highlight Active Directory Enrolment Policy and click Next. Check Computer, expand the Details and click Properties. 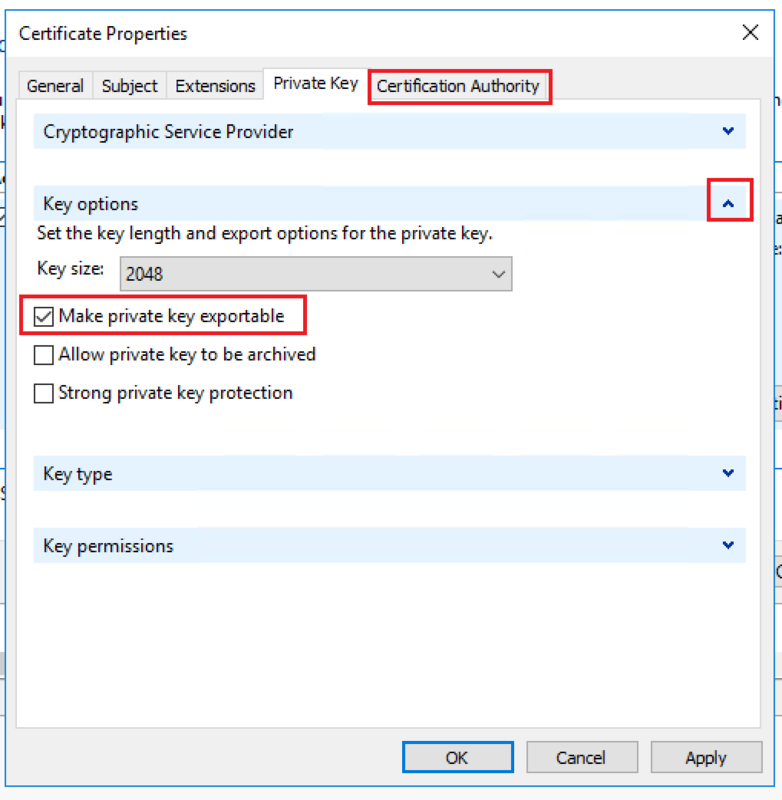 Type vdm in Friendly name and select Private Key. Expand Key Options and select Make private key exportable. 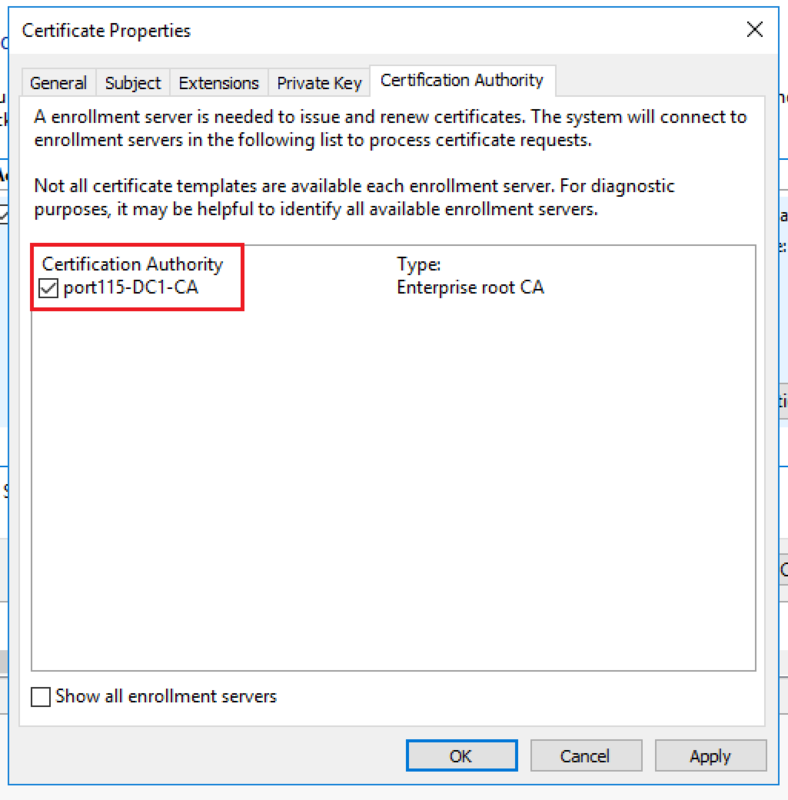 Select Certification Authority. 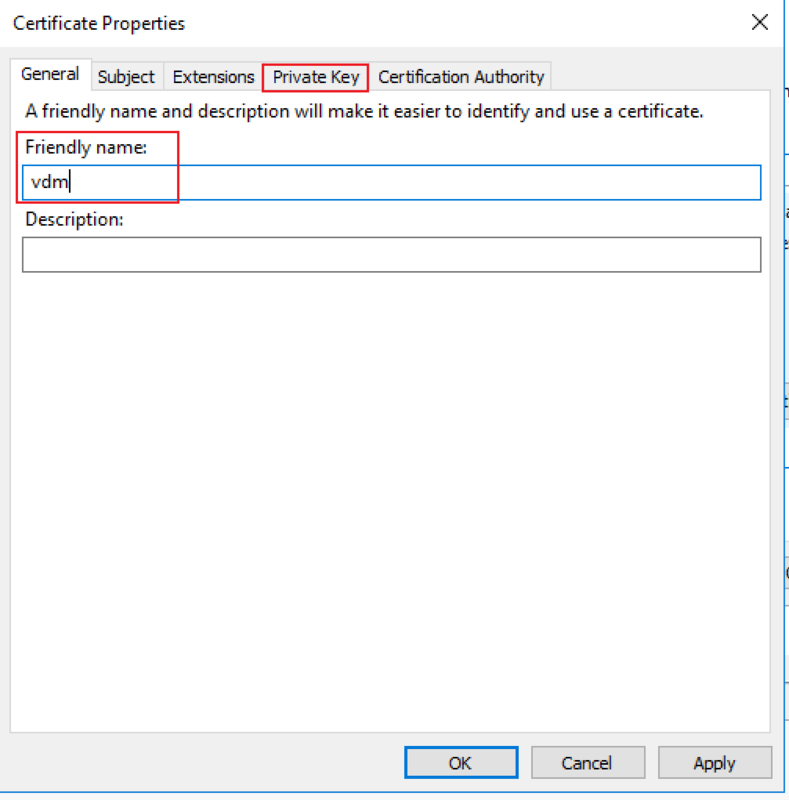 Make sure the correct certificate authority is chosen anf click Apply. 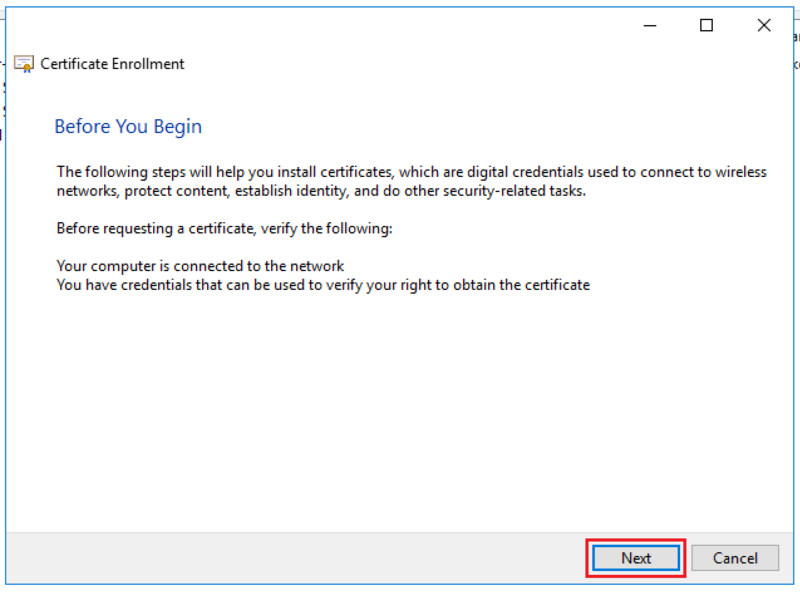 Once the certificate has been issued click Finish. Once the certificate has been installed you’ll see a new folder under Personal called Certificates. 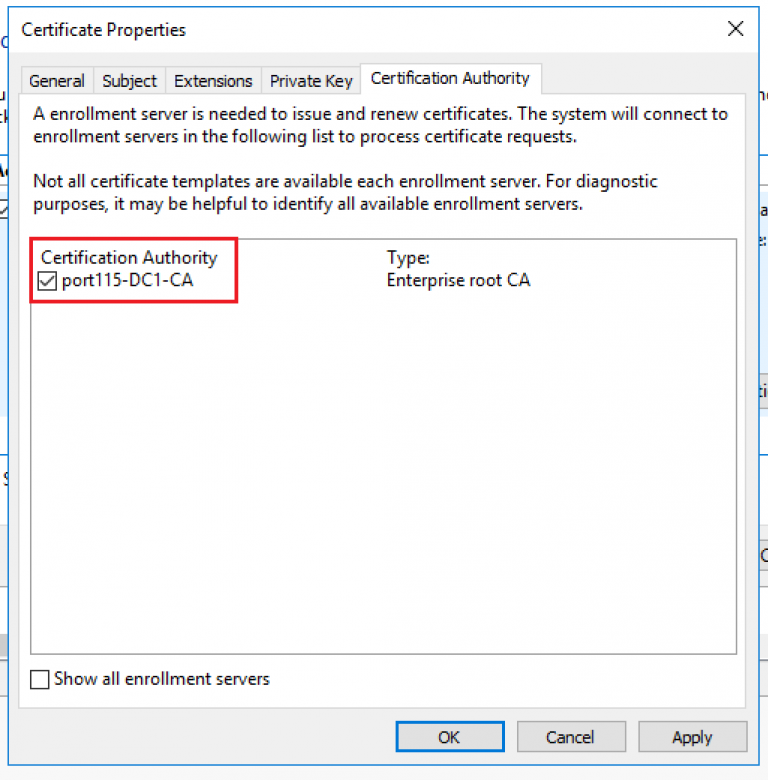 In there you’ll find the certificate issued by the root CA. 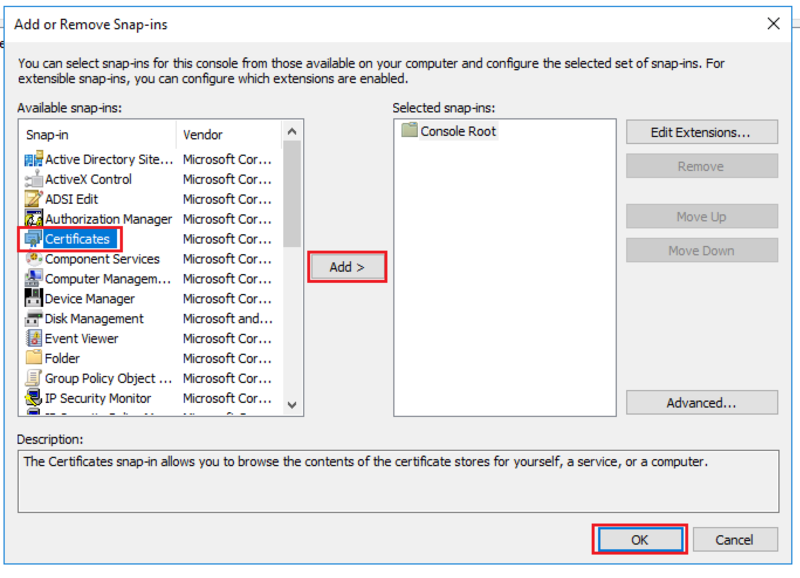 Next > Horizon View Connection Server – Install and basic setup 1/2.